Carmela Cucuzzella is an Assistant Professor at Concordia University in the Department of Design and Computation Arts in the Faculty of Fine Arts. She completed her doctorate at the Université de Montréal in April 2011. Her research interests lie within the domain of design for sustainability, eco-design, evaluation and judgement of design projects in a context of sustainability, theory of artistic judgement, theory of risk assessment, the precautionary principle, life cycle analysis (for social and environmental), and LEED. Her directors of research for her doctorate work were Pr. Pierre De Coninck, an expert in design theory and complex systems and Pr. Daniel Pearl, an expert in environmental design and construction in architecture. She obtained her first degree, a bachelor in Computer Science, focusing on Computer Architecture, in 1989. She was immediately employed by Bell Northern Research (which later became a division of Nortel Networks), and worked there for 11 years designing and developing software for the telecommunications industry. She has had various positions there, starting from software programming and development, to software analysis and design, to the architectural development of software platforms. Her last position held at Nortel was a technical team lead on an application for a 411 service using voice recognition technology for the wire-line network. After her employment at Nortel Networks, she completed a second undergraduate degree at Concordia University, in the Faculty of Fine Arts (Design Art), where she graduated as outstanding student in 2005. Her interest in understanding sustainability and design’s complex implications on the environment, society and culture developed during her education there. This degree, coupled with her previous background has given Carmela a broad cross-disciplinary perspective of the design discipline – from the design of virtual tools for communication systems (at Nortel) to the design of functional and exploratory artefacts on various dimensions – 2D, 3D and multi-media projects (at Concordia). In 2005, Carmela entered the Faculté de l’aménagement at the Université de Montréal, where she would complete (in 2007 with a mention of excellence), a Master of Applied Science degree, in the School of Industrial Design, in the program called Design et Complexité. Her masters thesis focused on the issues related to sustainability assessment for product design, specifically on the limits of current assessment tools for understanding the complex repercussions of social, cultural and environmental impacts and the need to introduce the precautionary principle into the design process as a way to address the uncertainty and ambiguity of these consequences. Her masters research was conducted within the framework of Centre de Recherche en Éthique de l’Université de Montréal (CREUM), a multi-disciplinary research centre focusing on fundamental and applied ethics research, and the Centre Interuniversitaire de Recherche sur l’Analyse, l’Interprétation et la Gestion du cycle de vie des produits, procédés et services (CIRAIG), a research group focusing on life cycle thinking and assessment methods. Entering the Ph.D. program at the Université de Montréal in the Faculté de l’aménagment program in September 2007, she will complete the doctoral thesis by December 2010. The research focuses on repercussions to design projects when the rating system LEED (Leadership in Energy and Environmental Design) is adopted, and in turn, how these same projects are ultimately judged within the context of an architectural competition. The theoretical foundation of the precautionary principle continues to be the basis of reflections regarding the tensions between the strict adherence to environmental rating systems or assessment diagnostic tools and the creative exploration during conceptualization. This research was done within the framework of a large architectural research lab, Laboratoire d’études de l’architecture potentielle (L.E.A.P); a lab of 9 professors and 12 assistants that focuses on the theory and practices of contemporary architecture within an interdisciplinary perspective. At L.E.A.P she was actively involved in a collective research project since 2008, called Greening the Architecture Curriculum in Canada, a project co-founded by her research director, Pr. Daniel Pearl. This is a project that involves 11 architecture schools across Canada and is essentially a forum for sharing ideas, resources and expertise for integrating sustainability into the curriculum. Since, 2009, she has collaborated with Pr. Jean-Pierre Chupin, Pr. Georges Adamczyk and Pr. Pierre Boudon, all L.E.A.P researchers, in their project that focuses on the conflicts of analogical interpretation and architectural judgments in competitions, where her focus has been on the conflicts of interpretation and judgment for the issues related to sustainability. This interdisciplinary background has allowed her to be invited to many lectures in various pedagogical contexts. She has taught in a studio course at the Université de Montréal, has tutored several students in their final year projects in the Industrial Design Department of the Université de Montréal, has presented many seminars to undergraduate and graduate students at a number of universities: Concordia University, Université de Québec à Montréal, Université Laval, McGill, École Polytechnique, and Université de Montréal. She has and continues to work in collaboration with Université de Québec à Montréal, in the department of École des sciences de la gestion, planning a seminar course at the graduate level focusing in environmental management with specific focus on Lide Cycle Methods. Carmela Cucuzzella now is a confirmed scholar who has obtained the maximum funding possible for a doctorate student from a federal, provincial, university and faculty level. She received bursaries from both the Social Sciences and Humanities Research Council (SSHRC) and from the Fonds de recherche sur la société et de la culture (FQRSC) for her doctorate research. 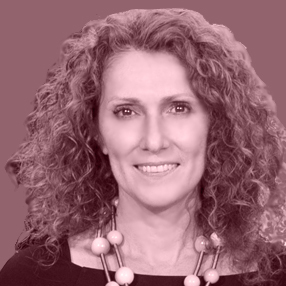 Since 2007, Carmela has presented over 20 communications across the world (in 3 continents). Counting all accepted communications, that would total over 30 communications across 5 continents, but budget constraints have limited her attendance. She has published in books and in international journals on various topics related to her research, particularly on environmental, social and cultural issues related to assessment and judgment for design projects in a context of sustainability. A contributing author to the UNEP-SETAC Life Cycle Initiative (LCI) project, she was one of 21 international experts in life cycle approaches. In 2009 the Guidelines for Social Life Cycle Assessment of Products was published, a first addressing the integration of social aspects into the life cycle assessment framework. This book comprises a series of case studies by 22 renowned experts and new scholars in the field of competition research. In 2014, it constitutes the most comprehensive survey on questions of organization, judgment, archiving and publishing of architectural, landscape and urban design competitions in the world. These richly documented contributions revolve around a few questions that can be summarized in a two-fold critical interrogation: How can design competitions - these historical democratic devices, both praised and dreaded by designers - be considered laboratories for the production of environmental design quality, and ultimately for the renewing of culture and knowledge?